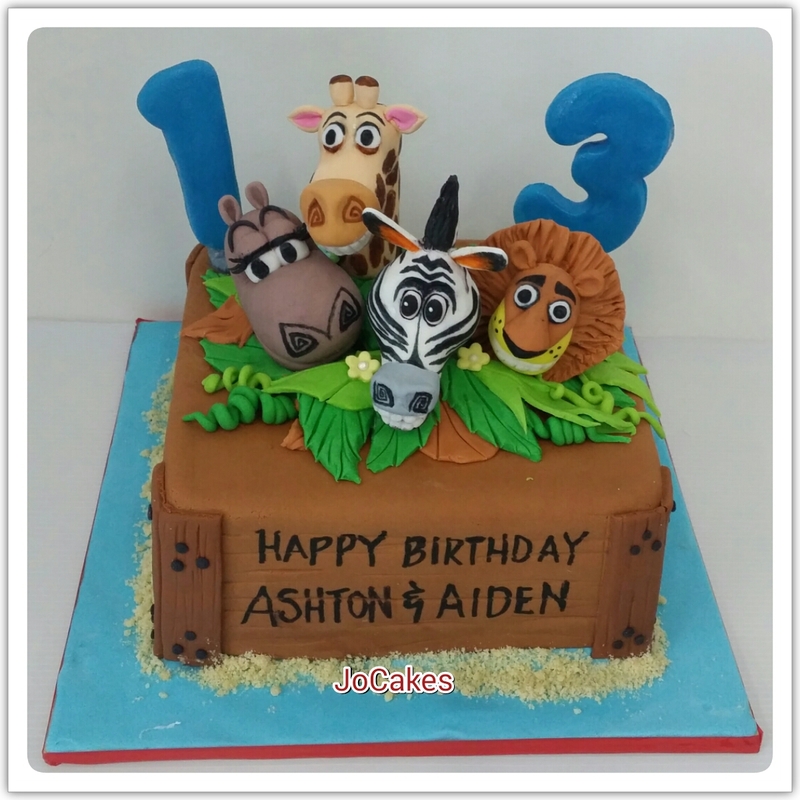 Madagascar cake for Ashton and Aiden’s birthday. 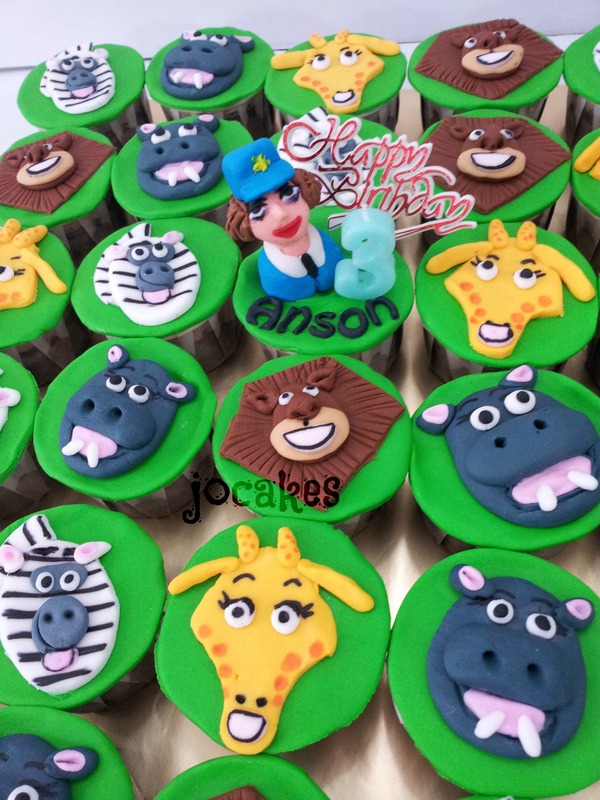 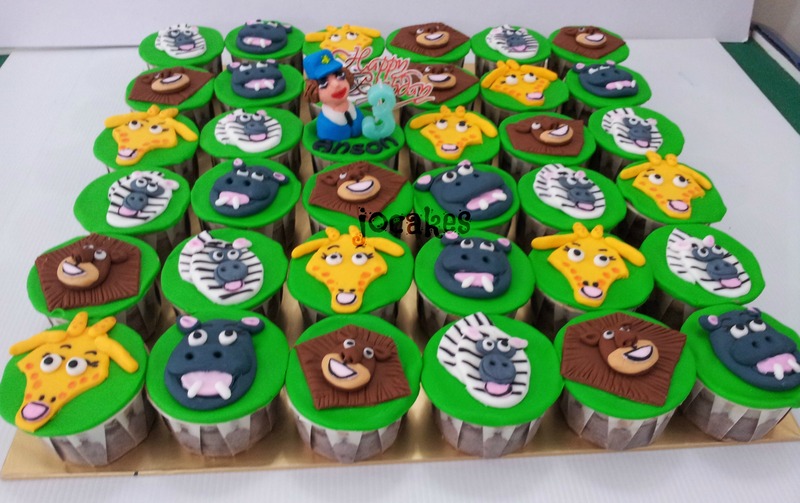 Madagascar 3 cupcakes for 3 year old Anson. 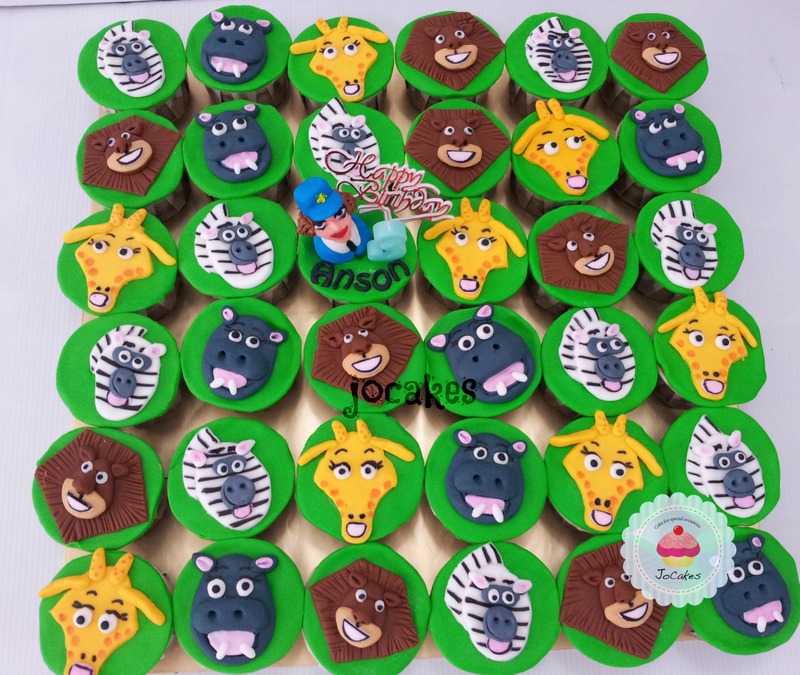 Commissioned by Andrea for her 3 year old son’s birthday celebration in his nursery school.